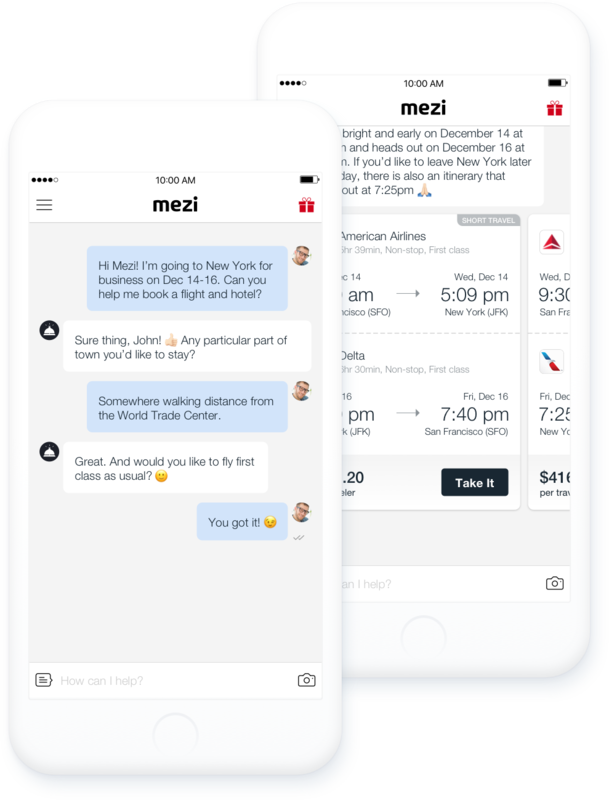 We founded Mezi with a simple goal: to be a personal travel assistant in your pocket that brings superior service and unparalleled delight to the travel industry. Joining American Express allows us to accelerate this process and make Mezi available to all the world's travelers. Mezi is your Personal Travel Assistant. The more you go, the better it gets. 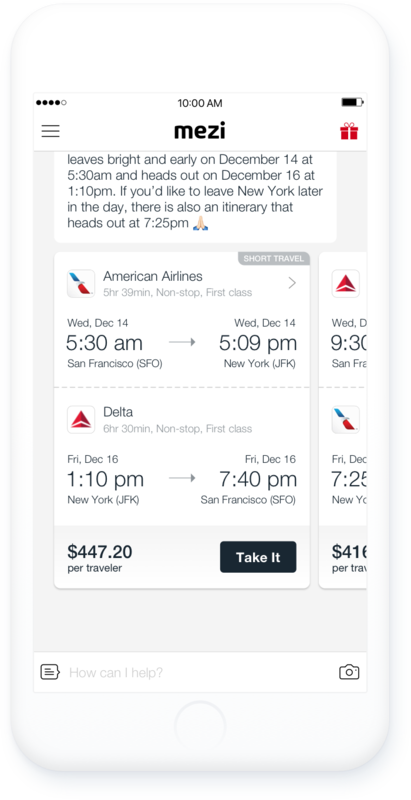 With our customer-first innovation, advanced AI and machine learning, Mezi brings superior service and delight to the industry so corporate travel doesn't feel like work. More than 60% of all flight requests are served by Mezi chatbots. We provide an end-to-end flight booking experience. 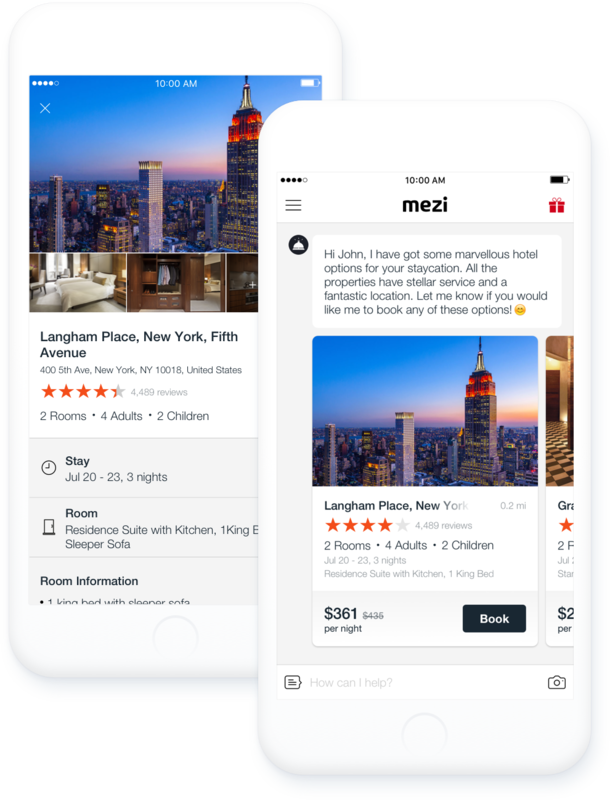 Mezi chatbots search across hotels worldwide to find the right accommodations for every traveler. 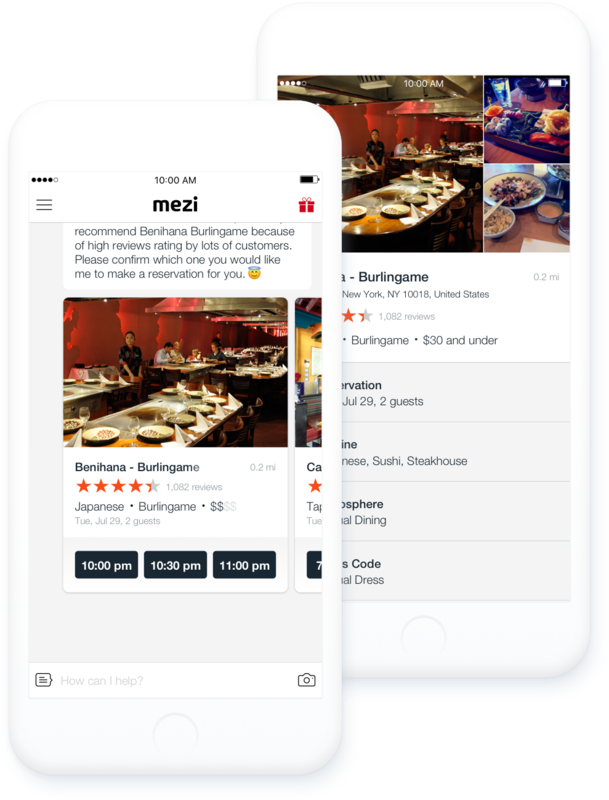 Mezi provides a unique dining reservation experience. Mez Mobile, Inc, when acting solely as a sales agent for travel suppliers, is not responsible for the actions or inactions of such suppliers. We want you to be aware that certain suppliers pay us commissions and other incentives for reaching sales targets or other goals, and may also provide incentives to our travel counselors. For more information please visit here. California CST #2129965-70, Washington #604-259-389, Iowa #1435. © Mezi 2018. All rights reserved.